Air power for warfighting is a story that's been told many times. Air power for peacekeeping and UN enforcement is a story that desperately needs to be told. For the first-time, this volume covers the fascinating range of aerial peace functions. In rich detail it describes: aircraft transporting vital supplies to UN peacekeepers and massive amounts of humanitarian aid to war-affected populations; aircraft serving as the 'eyes in sky' to keep watch for the world organization; and combat aircraft enforcing the peace. Rich poignant case studies illuminate the past and present use of UN air power, pointing the way for the future. 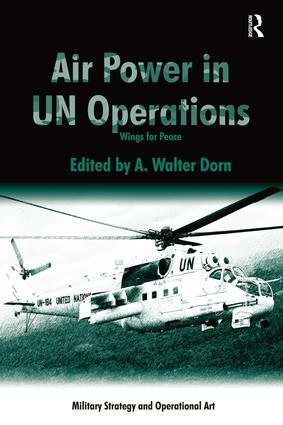 This book impressively fills the large gap in the current literature on peace operations, on the United Nations and on air power generally.